Fact One: Rolex sells a lot of $5,000 watches. Fact Two: No one needs a $5,000 watch. Don’t get me wrong; Rolex watches are very well made. They are accurate. And they can be stylish in a classic kind of way among watch designs. But no one really needs a Rolex watch. For $50, you can buy a digital timepiece that is just as accurate, waterproof, and likely has more functions. For that matter, who even needs a watch at all? Most us are never far from our mobile phone, which, when touched, presents us with accurate time. There is a clock in every car, microwave, and computer screen. “Hey, Alexa, what time is it?” works well, too. No one needs a $5,000 Rolex watch. So why do they continue to sell? 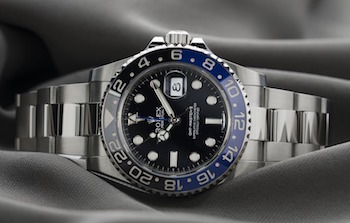 Why is Rolex considered one of the most valuable brands in the world? (#69 on the “Forbes” top 100 brands list in 2017.) The answer is simple. Because people want Rolex watches. And here’s the thing: The same principle that makes Rolex a globally-ranked luxury brand can be found in the formula of almost any successful brand in the world. All brands are a mix of rational and emotional appeals. But, because brands are bought by humans, the emotional side of a brand is always stronger and determines the success of that brand. Brands start by appealing to the self-esteem of their customers. These are not just a pile of demographics, but real people who want to feel loved, smart, safe, practical, responsible, respected, charitable, powerful, masculine, feminine, attractive. You get the point. So, brands are as human as the people who buy them. Rolex knows this. Their brand incorporates a sense of performance, adventure, and status. They use celebrities like Tiger Woods and Phil Mickelson to endorse their products and their ads often feature adventurers who climb mountains or race cars or dive to the bottom of the ocean. A brand like Disney offers extravagant experiences at their theme parks, but Disney knows that, ultimately, a large part of their customer base simply wants to feel like a good parent. For several hundred dollars a day per family, they will deliver that feeling complete with Mickey, Minnie and Goofy, or perhaps Han, Leia and Luke. The same principle holds true for business-to-business brands, as well. Here there is usually a more balanced mix of rational features versus emotional choices. The executive who is purchasing a complex computer system for his company that costs several times his annual salary, will certainly want to see a lengthy list of specifications and deliverables. He will likely evaluate numerous companies and seek multiple bids. But, having done all that, will he choose the lowest bid? Maybe not, because the emotional factors of reputation, past experience, references, and trust will highly influence the final decision. The executive might choose a firm run by a friend because he trusts that friend. Or he might dismiss a low bid from a newcomer to the business for fear that it will end up costing more in the long run. Ultimately, this executive probably wants to feel like a smart businessman who makes good decisions. That’s his drive. That’s what will connect him to the brand he chooses for the computer network. And when the job is done and up and running smoothly, he might just buy a Rolex to celebrate.